"The most controversial film you will see this year." River's Edge is a movie about teen angst, bitter love, and broken dreams in a small coastal town of Washington. It follows the struggle of a gang of wasted youth who hang out on the Pudget Sound, drink a lot of beer, and philosophize about life. Keanu Reeves stars as one of the disgruntled punk teenagers who has a lot on his plate. After his friend admits to killing his girlfriend, he is left with the decision of a lifetime. Should he turn his friend in, ruining his friendship, or cover for him, jeopardizing his future as well? 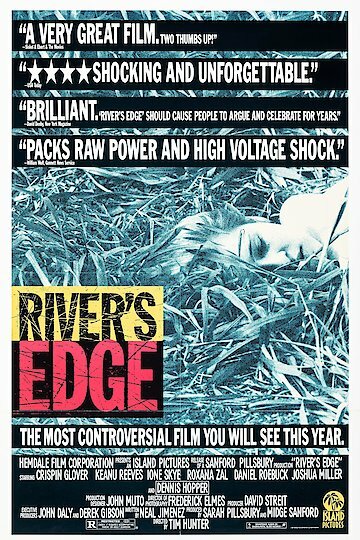 River's Edge is currently available to watch and stream, download, buy on demand at Amazon Prime, Amazon, iTunes online.